At one point, we've all experienced a train blocking intersections. Now State House Speaker Rep. Charles McCall (R-Atoka) has written a bill that if passed, would fine railroad companies up to ten thousand dollars for stalled trains. McCall says it's not only a nuisance but also potentially life threatening. "We had a specific incident where the child could not get to the hospital because of the railroad crossing being blocked for a long period of time," Rep. McCall said. 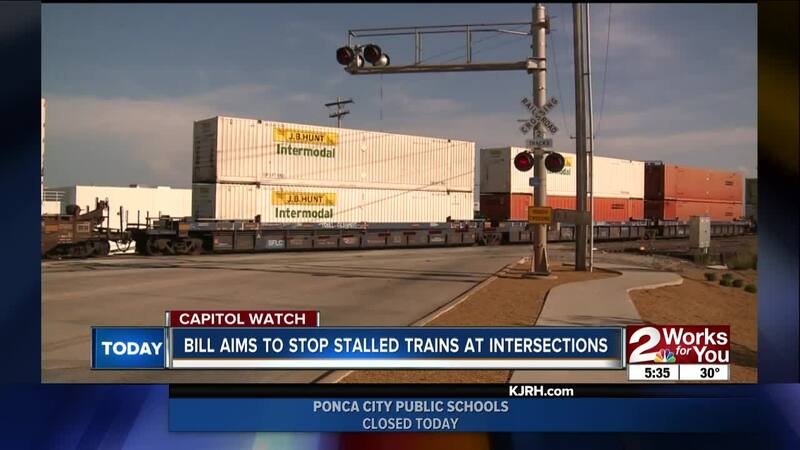 Officials from railroad companies BNSF and Union Pacific have not commented on the proposal just yet.